A couple weeks ago, I decided that I needed to try the latest available version of Android. My G2 came with 2.2, Froyo, but being the Android enthusiast that I am, I just had to try the newest version, which is 2.3, Gingerbread. I carefully backed up all of my info, erased everything and flashed the new ROM. It really brought me back since this was the first time I'd done much ROM flashing on my G2 and I forgot how much fun it is, albeit a tad nerve racking. But I am now running the very latest version of Android (the latest available version, anyway), and I'm able to try it out long before HTC or T-Mobile will make it available officially. 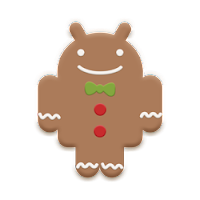 From a user's perspective, Gingerbread isn't that different from Froyo, save for some visual theming. The underlying OS code, however, is very different and is worth mentioning. Previous versions of Android used a filesystem called YAFFS, whereas Gingerbread uses one called EXT4. Without getting too technical, the filesystem is simply the method by which the OS organizes files, writes new files to memory, etc. Each filesystem has its own set of limitations, and YAFFS was starting to show its age. One of EXT4's biggest advantages is speed. It allows the system to create files much faster, which is great for things like recording HD video, or playing high-end games. The fact that Android will be using EXT4 from now on means that all of these things will perform much better, even on existing hardware. Android, as it ships from Google, has always had a standard visual appearance. Every manufacturer adds its own custom colors and skin, of course, so there are millions of people who probably don't know what "stock" Android even looks like. But if you've ever used a G1, MyTouch 3G, Droid 1, Nexus One, G2, etc. then you have been using stock Android. Visually, Gingerbread makes quite a few changes. The status bar is black, the menus are now grey-on-black, status icons are redesigned and now colored green and grey, the lockscreen icons are slightly different, and the standard homescreen dock now has green icons as opposed to grey. It's mostly just colors that are changed, but it makes quite a difference. For those of us used to the traditional white/grey of previous versions, it takes some getting used to. I personally really like it, though I admit to being less than enthusiastic at first. I'd never really cared for black theming and I wans't sure how I would like the new look. After using it for a few days, though, it really began to grow on me and now I love it. The green on black really looks good, and gives the whole OS a more polished appearance. Froyo's status icons look almost cartoonish now, by comparison. This is an area where there is very little to say. Google has done a tramendous job of decoupling core apps from the OS and putting them in the Market. Apps like Gmail, Google Maps, Voice Search, and YouTube have all been removed from the OS and updated on their own through the Market. This means that new versions of Android don't ship with brand new, never-before-seen versions of these apps. So the only apps to get updated for Gingerbread are the dialer, text messaging, and the browser. And all of these look and function almost exactly the same as before, save for the same black and grey theming that's present everywhere else. While it's not all that different from Froyo, Gingerbread is a nice, solid upgrade and I've been enjoying it so far. I've only encountered a few apps that don't work, but that's likely caused by the fact that the Cyanogen ROM isn't completely finished yet. I like the new visual look, and the screen-off animation alone is enough to keep me from reverting back to Froyo. Overall, I'm very impressed and plan to keep using it until something better comes along. Now we just have to hope that the manufacturers get their butts in gear and release official Gingerbread updates for existing phones. If your phone is already rooted and a Gingerbread ROM is available for you, I definitely recommend giving it a shot. It's quite impressive.